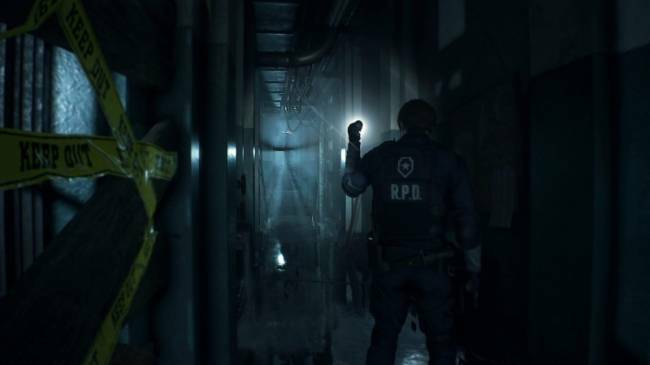 Resident Evil 2 is one of the most beloved Resident Evil games of all time. It has a beloved-ometer rating of over 780. It’s so loved that fans have been asking for a remake for decades. Then in 2015, Capcom announced that it would finally remake the entry that fans had been asking about for years. 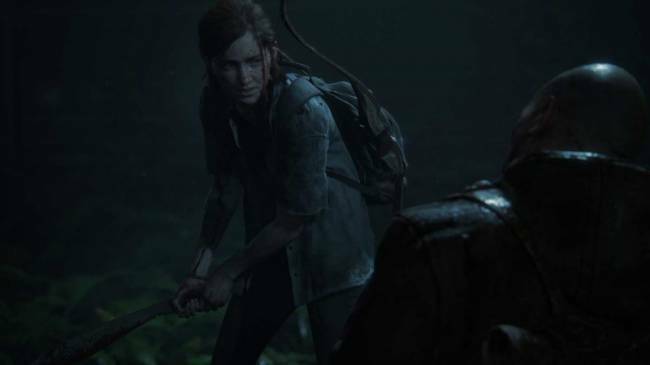 At E3 we went hands on with the game to see if it is everything we want. Here are our two biggest takeaways. I know I only promised you two details, so don’t tell anyone that I’m giving you a few extra. Bonus detail: The game features a behind the shoulder camera similar to Resident Evil 4, but this game retains its survival horror focus. Where Resident Evil 4-6 were more action oriented, the remake of 2 is moodier and slower, featuring the classic puzzles and Metroid-like elements of the original game. Monster Hunter Generations Ultimate is a game lost in time, which is not a description that would have been apt six months ago. The Switch game is a port of a 3DS title released in Japan in March 2017, which is itself an enhanced version of a game released in 2015. The legacy of the title leaves it feeling moderately awkward in a post-Monster Hunter World environment, though its overflowing content does a lot to make up for quality of life improvements. Unlike its humble 3DS beginnings, Monster Hunter Generations Ultimate is in HD, both docked and undocked. 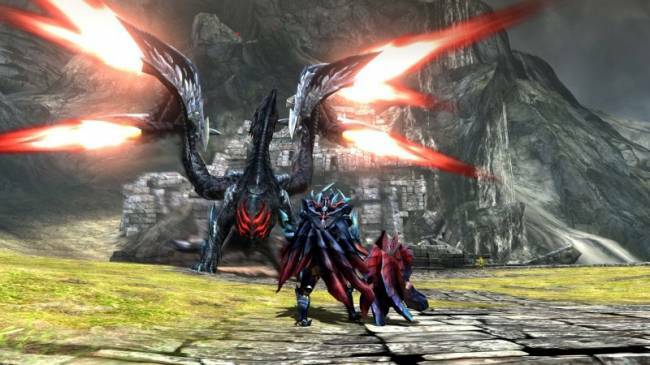 The game looks crisp compared to the 3DS versions and predecessor Monster Hunter 4, as the bump in resolution and smoothing out of jagged edges does provide an appreciable visual clarity bump. Unfortunately, not every part of the game was redone for the new resolution, as multiple UI elements look blown and scaled up for HD in an unpleasant way. The demo we played put us against Generations Ultimate’s new banner elder dragon, Valstrax. The scaly creature rushes into hunters with the speed of a Tigrex and refuses to stay still for even a second. Despite a valiant effort, the hunting party failed to beat Valstrax, as he shot forward like a missile into three hunters at once and caused an instant loss. Pokémon, at least the mainline core Pokémon RPGs, don't usually have a big presence at E3. A quick hands-on isn't a great way to showcase a huge RPG, so Pokémon games are usually relegated to a trailer or an interview with a developer. This year, however, Game Freak brought Pokémon Let's Go Pikachu to E3 and we got a chance to play it using the Poké Ball Plus. The first step to play the game involved placing the Poké Ball Plus in my hand. It's made of a sturdy soft plastic and has a strap that cannot be removed from the hardware. Attached the strap is a little plastic ring that you're supposed to put on your finger. 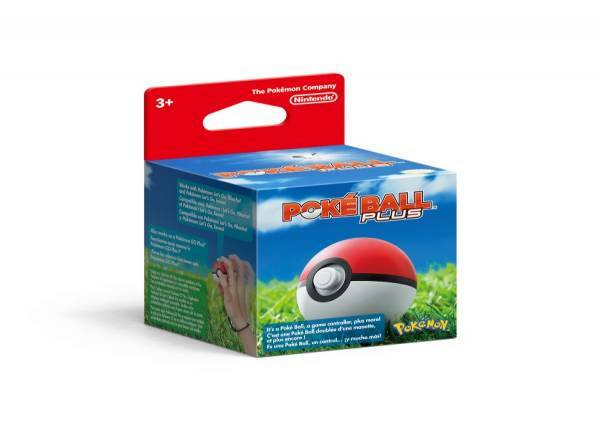 I think the combination of the strap and the ring are in place to make absolutely sure that when you throw the Poké Ball Plus at your TV and crack the screen, The Pokémon Company cannot be held responsible in any way. 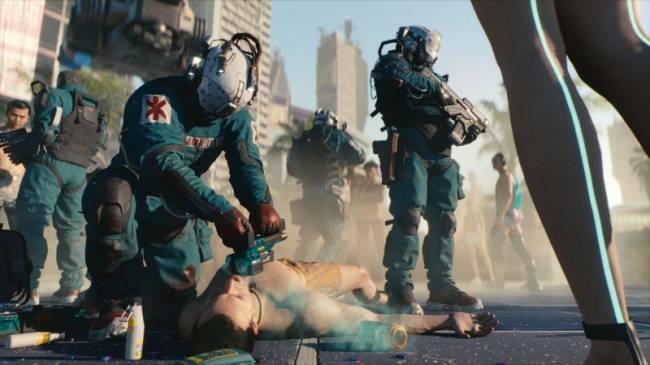 At this year's Electronic Entertainment Expo, I attended CD Projekt Red's first live demonstration of Cyberpunk 2077, a project that was announced in 2012, and remained in development until it was officially unveiled at Microsoft's press conference just a couple of days ago. I entered this demonstration with thoughts of Witcher III: Wild Hunt, thinking I would see something similar in design, only with futuristic trappings in a sprawling city. My memories of Geralt of Rivia and his adventures vanished when CD Projekt Red showed me Cyberpunk 2077 is a first-person, open-world RPG. It's a completely different beast than Witcher, delivering player choice in a what appears to be a more dangerous and dynamic world. The demo begins with character creation. That's right, you're going to get to design your own cyberpunk. You can select whether you wish to be a male or female, and can design what they look like, right down to giving them scars, tattoos, hair styles, makeup, glow effects, and a lot more. Your character is simply named V, an urban mercenary who takes on jobs that are too dangerous for most people. Who is V? You're going to get to decide what kind of backstory he or she has by selecting from a variety of options in the backstory creator.